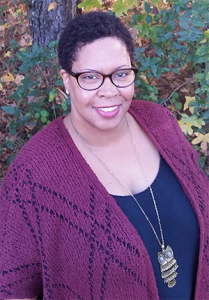 Kaetrena Davis Kendrick, associate librarian at the University of South Carolina-Lancaster Medford Library, is the 2019 Association of College and Research Libraries’ (ACRL) Academic/Research Librarian of the Year. The award, sponsored by GOBI Library Solutions from EBSCO, recognizes an outstanding member of the library profession who has made a significant national or international contribution to academic/research librarianship and library development. 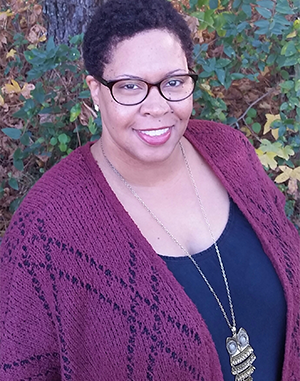 Kendrick will receive a $5,000 award during the Middle Keynote session on Thursday, April 11, at the ACRL 2019 Conference in Cleveland. Kendrick exemplifies today’s academic and research librarian through her tireless dedication to the profession both at her local library and on the global stage. Working at a small academic library with only one other librarian, she has sought new and innovative ways to serve her campus community. Kendrick launched the Lancer Scholar Square, a local institutional repository, using open source software and implemented a Library of Things service that provides students, faculty, and staff with access to a range of circulating materials including tripods, presentation clickers, and virtual reality viewers. She additionally found creative ways to host a maker space in the library, using accessible and cost-efficient materials. All of these projects demonstrate Kendrick’s dedication to bringing national trends to libraries with limited resources. Outside of her home institution, Kendrick’s service orientation is shown in a wide range of publications and presentations on topics including equity, diversity, and inclusion (EDI) in librarianship; professional ethics and workplace issues; and the challenges facing small and rural libraries. She shared the knowledge and insights she gained at the University of South Carolina-Lancaster with her peers as co-editor of the 2016 ACRL book The Small and Rural Academic Library: Leveraging Resources and Overcoming Limitations, featuring a mix of case studies and interviews written by librarians who share Kendrick’s commitment to transforming libraries through creativity and innovation. Kendrick is the author of The Kaleidoscopic Concern: An Annotated Bibliography of Diversity, Recruitment, Retention, and Other Concerns Regarding African American and Ethnic Library Professionals in the United States (2009) and Global Evolution: A Chronological Annotated Bibliography of International Students in U.S. Academic Libraries (2007), both published by ACRL. Her additional contributions to the journal literature include co-authoring “A phenomenological study of conservative academic librarians,” Behavioral & Social Sciences Librarian (2015); “The impact of cloud computing on librarians at small and rural academic libraries,” Southeastern Librarian (2014); and “Impact of the Code of Ethics on workplace behavior in academic libraries,” Journal of Information Ethics (2011). Kendrick’s record of service to ACRL and ALA includes serving as a member (2012-16) and chair (2016-18) of the C&RL News Editorial Board, member of the ALA Committee on Professional Ethics (2014-16), member of the ALA Publishing Committee (2010-12), and member of the ACRL 2009 Panel Sessions Sub-committee (2007-2008), among other appointments. She also served the profession as a member of the 2006 and 2012 Joint Conference of Librarians of Color Proceedings Committees. Before becoming associate librarian in 2017, Kendrick served the Medford Library as assistant librarian (2012-17) and librarian instructor (2012). She previously held positions at the University of South Carolina Aiken Gregg-Graniteville Library (2009-11) and the Georgia State University Library (2005-09). Kendrick received her B.A. in English from Winthrop University and M.S.L.S from the Clark Atlanta University School of Library and Information Studies. The ACRL Academic/Research Librarian of the Year award dates back to 1978, and recent award winners include David W. Lewis (2018); Loretta Parham (2017); Susan K. Nutter (2016); Robert A. Seal (2015); Tim Bucknall (2014); Patricia Iannuzzi (2013); Paula T. Kaufman (2012); Janice Welburn (2011); Maureen Sullivan (2010); Gloriana St. Clair (2009); Peter Hernon (2008); Lizabeth (Betsy) Wilson (2007); Ray English (2006); Ravindra Nath (R. N.) Sharma (2005); Tom Kirk (2004); Ross Atkinson, (2003); and Shelley Phipps (2002). For more information regarding the award, or a complete list of past recipients, please visit the ACRL website.